Proudly serving commercial, industrial, farm and residential clients in Drumheller and surrounding areas since 1987, Scott McKay Contracting Ltd. offers a full range of electrical contracting services, including new construction installations and repairs of existing systems. Some of the services we offer include electrical sign repair and LED retrofit, underground cable installation, pole setting, and parking lot lighting installation, including excavation and concrete work. 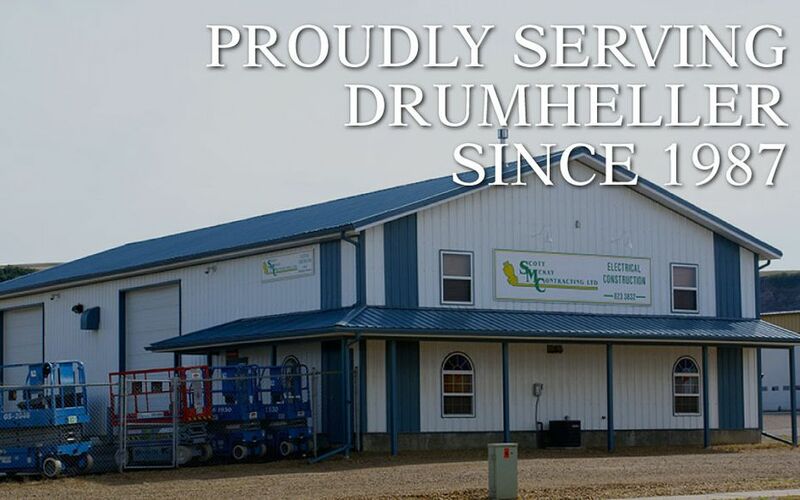 Ours is an established shop, conveniently located in Drumheller to provide support and maintenance services for any of our projects. We pride ourselves on “going the extra mile” to safely complete projects even under adverse conditions. Although we run a full-time operation, our office staff is not always available, so please call first if you would like to see us in person.